Want to find out what would have happened if Darcy and Lizzie had not got off to such a rocky start? 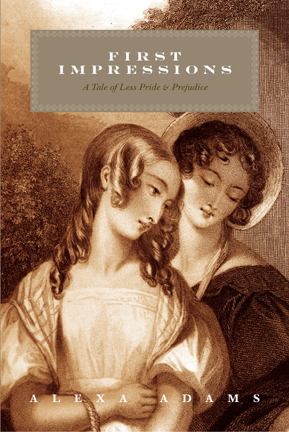 Enter to win a copy of First Impressions, and find out! This sounds really good. Thanks for the giveaway! thank you for the giveaway of FirstImpressions!! 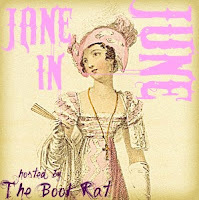 i LOVE retellings of Pride&Prejudice!! also good luck w/SecondGlances & mostly, HUGE CONGRATS on your new baby!!!! I've been wanting to read this book since the first time I read a blurb on it! Thanks for the giveaway! Thanks for the giveaway, and congrats to Alexa on new mommyhood! Sounds great and congrats on the new little one! This book sounds great! Congratulations on your new baby. Thanks for the giveaway! The book sounds great and it's now on my tbr list! Congrats on your little one! Thank you Alexa and congrats on being a mommy! I'm curious to see how Lydia holds up without her trip to Brighton. Somehow I expect she'll find trouble elsewhere. Thanks for the giveaway! My best wishes to newborn baby!!! Thanks for the giveaway. Congrats on the little one!